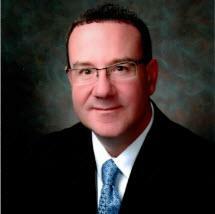 Attorney Brad A. Reynolds graduated from the University of Iowa College of Law with High Distinction in 1997. Brad focused his practice in the area of federal civil rights from 1998-2002. Brad moved to Rockford, Illinois in 2003 and focused his practice in the area of Worker's Compensation where he worked as an associate at the Law Office of Jim Black & Associates through 2013. Brad joined Gesmer Law Offices P.C. in October 2013 where he continues to practice in the area of Worker's Compensation and Social Security Disability as well. Brad is married and is the father of six children. He is an avid golfer.